Some things go together really well : cheese and crackers, gin and tonic and, most importantly, sewing and November… Actually, on further reflection it is sewing and every month! But when it comes to tee-ing up a time for a sewing photo challenge you have to go with the one that sounds the catchiest (sorry Sew-anuary!) 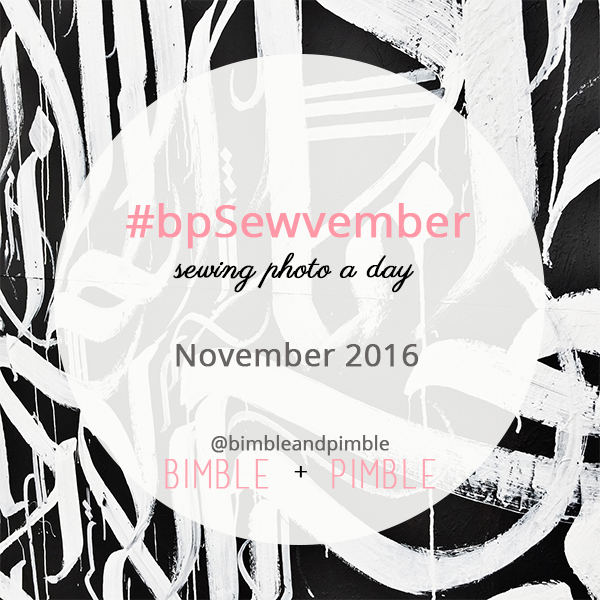 which brings us back a third time to Sewvember. Huzzah! Above is a cheat sheet to the prompts for each day. You’ll see some of favourites and some new ones ready for your ideas! Please feel free to share this on Instagram, your blog or any other social media that floats your boat. 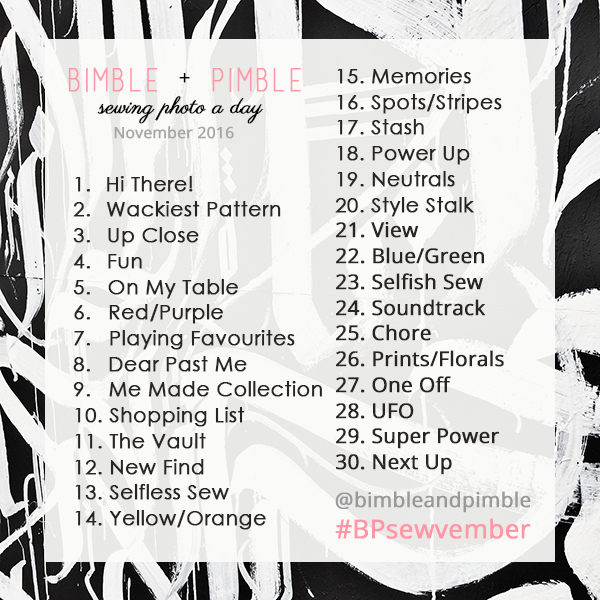 The prompts will be posted on my Instagram account each day throughout November. I’ll also have a little blurb fleshing out each of the ideas – especially the ones phrased in Amanda-talk. We’ll be starting on November 1 and going all the way through to November 30. I’m looking forward to reading what patterns, tools and notions are on your list by the end of the month 🙂 I recently bought the new planner by Collette with an eye to actually getting into planning rather than this random crazy approach I take to sewing!